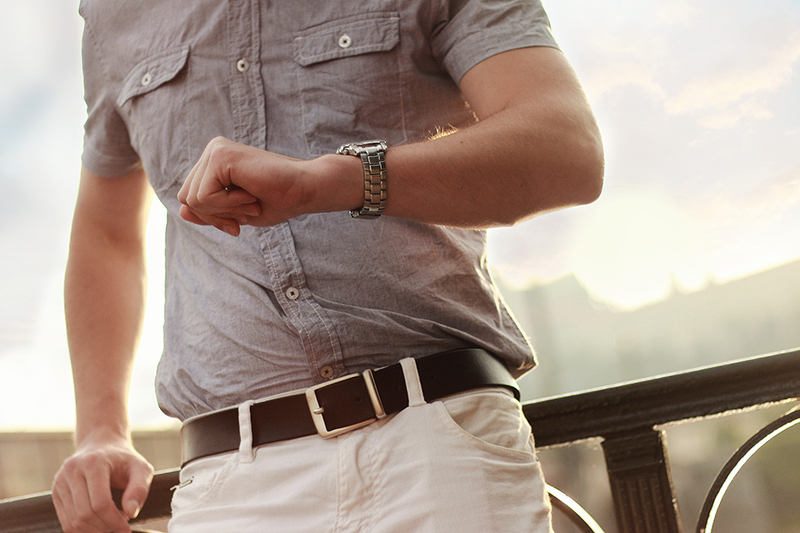 When was the last time you waited for something? Today, you can binge watch your favourite shows on Netflix whenever you want. You can get your news-of-the-day just by scrolling on your phone. You can even get groceries delivered right to your door when it is convenient for you. We live in a world where so many things can be at our finger tips in what feels like mere moments. Waiting, is becoming a rare occurrence in many parts of our lives today. Except when it comes to hiring. Did you know that just six years ago, the average time a candidate waited for a job offer, post-interview was 12 days, and yet, within four years, that same metric almost doubled to 22 days? This is according to a Glassdoor survey quoted the Globe and Mail. That’s an 83% inefficiency growth! Today, in recruitment, we’re seeing this wait time grow even further. It’s the #1 reason why employers are losing fully bilingual, in-demand candidates. Fast Company characterizes these wait times as a “global epidemic.” So why are wait times growing at such an alarming rate? One of the main reasons cited in research around these wait times is an increase in additional screening such as background checks, skills tests and personality tests. The size of a company also impacted wait times – not surprisingly, smaller entrepreneurial companies responded faster, and as the employee head count grew, so too did hiring delays. Interestingly, some research conducted by Workopolis found that 44% of candidates who reported being interviewed for a job – never heard back from the potential employer at all, post-interview. Is this a lack of discipline on the part of our industry? I would argue, no. HR and hiring managers today are over-stretched, and over-worked. But in an effort to maximize procedures and processes, hiring protocols today are becoming increasingly inefficient. And the consequences can be dire. Delays in making hiring decisions as a result means lost sales and lost productivity within a company, increased stress among co-workers having to compensate for hiring gaps, and the risk of losing highly promising job candidates to competitors after lengthy interviewing and screening processes that take up valuable company time and resources. Just like Toronto’s red hot real estate market, we are operating today in a jobseeker’s market. Great talent is rare, compared to the vacant job opportunities out there. In this tight market, highly promising candidates (especially those who are fully bilingual in English and French) are routinely receiving multiple offers. Moreover, among the rising Millennial crowd, there is no patience for “red tape culture” and candidates quickly lose interest when there are unexplained delays. Working with a good recruiter can drastically reduce your hiring time, from the moment you post a job opportunity to the final signing of an employment contract. We do the homework on candidates for you, and can manage the entire pre-screening process, leaving you with more time to make strategic organizational decisions, securing internal approvals, etc. A recruiter’s fee is well worth the cost considering the lost resources companies have to pay for with vacant job opening. Once clients experience the services of a good recruiter, they tend to swear by it, based on the immediate return-on-investment. Having a clearly defined hiring process with timelines that all internal parties agree to in advance is crucial. Then, the difficult next step is holding your coworkers to account on those timelines and pressuring them to make hiring decisions or provide feedback and approvals with a sense of urgency. In a jobseekers’ market, employer branding can make or break your hiring strategy and impact the company’s long-term reputation. Keeping our eyes on this long-term impact, alongside the immediate potential wins or losses in sales and productivity can help guide us to encourage greater efficiencies among our teams. 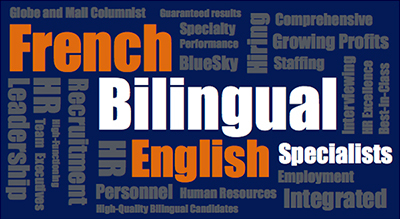 If you are interested in learning more about how our recruitment services can help you find and hire your ideal candidates faster (especially bilingual/French talent), please give us a call today at: 416-236-3303 or email us at: info@blueskypersonnel.com. We look forward to speaking with you!